Review in a Nutshell: Love Scene, Take Two is an absolutely adorable, fluffy contemporary romance that you will fall head over heels for. Love Scene, Take Two is told from two different points of view, the first being that of actor Teddy Sharpe. Getting the lead in the movie adaptation of the bestselling Parachutes book series could be his Hunger Games and skyrocket his career, except he is convinced he blew his audition. Bennet Caldwell is the young author of the Parachutes series, and when Teddy is stranded at the airport due to weather, she invites him to stay at her family’s house for the weekend. As the two start to fall for each other, Bennet has to figure out if she can handle the internet gossip and tabloids that a relationship with Teddy brings. The majority of this book takes place at Bennet’s family’s lakehouse and on the movie set, and while I liked the quaint lakehouse setting, it was the movie set that I found the most fascinating. This book gives a great glimpse into more than just the drama behind the scenes, but also the technology, the people needed, the stress, and the work that goes into creating a blockbuster. Every scene on the set was absolutely captivating. While the “Hollywood contemporary romance” concept isn’t new, this is definitely one of my favorite depictions of life in the spotlight. The writing in this novel has a humorous feel, with plenty of sarcasm and quips, making this a light and fun read. The prose is straightforward and simple, while the dialogue is entertaining and fun. One important thing to expect in this book is some hard to believe scenarios. It’s unavoidable. You definitely have to suspend your disbelief over certain characters and events that occur. That said- the plot is fast paced and super fun. I could barely put this book down while reading. The two main characters are one of my favorite things in this book. Bennet is a sarcastic but kind, and slightly nervous girl who definitely has some flaws she needs to work through in this book, but is far from unlikeable. Teddy is just fantastic. He is the Hufflepuff love interest we all need. Bennet’s family also feature a large role in this book. I really loved all of their scenes together. Her cousin Will is amazing and I wouldn’t mind a book all about him (also, he’s gay! Yay LGBT rep!). The only character I didn’t like was Liz, Will’s sister and the cause for most of the drama in this book. I found her a little too unbelievable at certain points, and almost too cruel. 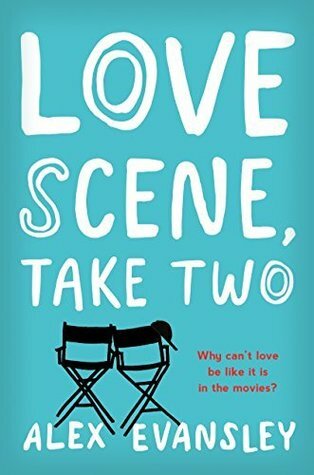 Love Scene, Take Two is a must read if you’re looking for a quick, cute contemporary that will leave you happy and hoping for more.